Travis was extremeley friendly and professional. He listened to what we wanted and was able to find a house we love. He communicated with us every step of the way! Overall it was a great experience all around. We would recommend Travis to all our friends and family. Barb made us feel at ease about the entire transaction. Whether it be recommendations for improvements, communication, or negotiation abilities, Barb hit it out of the park. We would hands down recommend her to our friends and family. Barb Is Just A Very Nice Person! Barb and Brent were highly competent. Their communication was direct and concise throughout the entire process. They gave recommendations to us for selling our home and we were very greatful for all the help. We would use them again in a hearbeat. Brent went above and beyond to get us what we needed and wanted! We were very satisfied with Brent because he understood our needs and researched the market heavily. We were also very happy with his sound advice during negotiations. Communication was 10/10 all around. We would use Brent and the Barb DeMaria Team again without hesitation. I loved working with Alex. He gave great suggestions, which I followed, in preparation for listing. He was so supportive and answered my questions. He represented me so well with the purchaser's realtor and understood my needs. Thanks again Alex!!! I Loved Working With Alex! Alex is a wonderful realtor! He listened to all the things that I was looking for and worked very hard to find me my dream home. He's a great communicator and has a tenacious spirit in his work ethic. Alex was very reliable and it was so easy getting ahold of him , he worked relentlessly and wouldn't settle until I was happy. He has a lot of knowledge about the industry and I would definitely use him again for my future homes. Thank you to the Barb DeMaria Team! Alex Worked Tirelessly For Me! Alex is excellent!! He worked with us for 3 months until we found our dream house. I do not know how many houses we saw maybe 30. He was always patient and understanding. He paid close attention to the details and worked very hard protecting us from any risks. Very few people are fortunate to do in life what they love and for Alex that is real estate. This is the agent that you want on your corner helping you get your dream house. Definitely would recommend and use it if we are crazy enough to sell our house and look for another! Alex Was Fantastic In Helping Our Family Move Into The Area! Travis made my first home buying experience a pleasure. He helped me acquire the home I needed to suit my own personal and business needs. He also made me feel both comfortable and confident in making the right decision for a big purchase. Thank you Travis and the Barb DeMaria Team for the great service! First Home Was A Breeze With The DeMaria Team! From the listing appointment to the completion. Five stars all the way... they listened to our needs and were very respectful when making appointment to show our home. Alway available to answer our questions and concerns . And when looking for our new home again our needs and life style were taken completely into account . We can not say enough about this team of professionals. We Cannot Say Enough About This Team Of Professionals! This team sets standards all others hope to achieve! Could not be happier. I must say, having now gone through the process, that I don't think I could ever be a realtor - especially in this climate! That said, I would be remiss if I didn't take the opportunity to thank Travis DeMaria and his team for everything they've done and continue to do for us. If you need a realtor, go with #1 - and there's a reason this team has been #1 for years. From start to finish - the service we received was absolutely flawless! Travis, you're a star! Thank you for everything, and you will be my one and only phone call for all things real estate for many years to come! 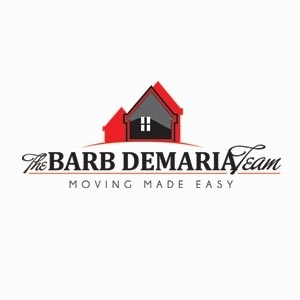 Exceptional Service, Would 100% Recommend The Barb DeMaria Team!